"A wonderful book, original in concept and stunningly written." "Elegiac, funny, wistful, deep, and wonderfully human, Dust to Dust moved me to laughter and tears, sometimes simultaneously." Tim O'Brien meets Annie Dillard in this remarkable memoir by debut author Benjamin Busch. Much more than a war memoir, Dust to Dust brilliantly explores the passage through a lifetime—a moving meditation on life and death, the adventures of childhood and revelations of adulthood. Seemingly ordinary things take on a breathtaking radiance when examined by this decorated Marine officer—veteran of two combat tours in Iraq—actor on the hit HBO series The Wire, and son of acclaimed novelist Frederick Busch. 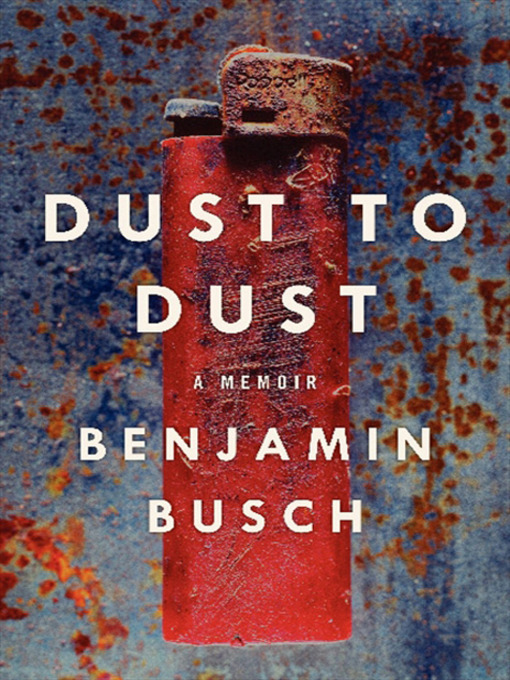 Above all, Benjamin Busch is a truly extraordinary new literary talent as evidenced by his exemplary debut, Dust to Dust—an original, emotionally powerful, and surprisingly refreshing take on an American soldier's story.